I’ve just recently returned from Buenos Aires and I thought these images from an upscale shopping mall–Alto Palermo–were fascinating (and a little disconcerting). Evidently the post-Charleston terror attack response to the Confederate flag has not crossed beyond US borders yet! 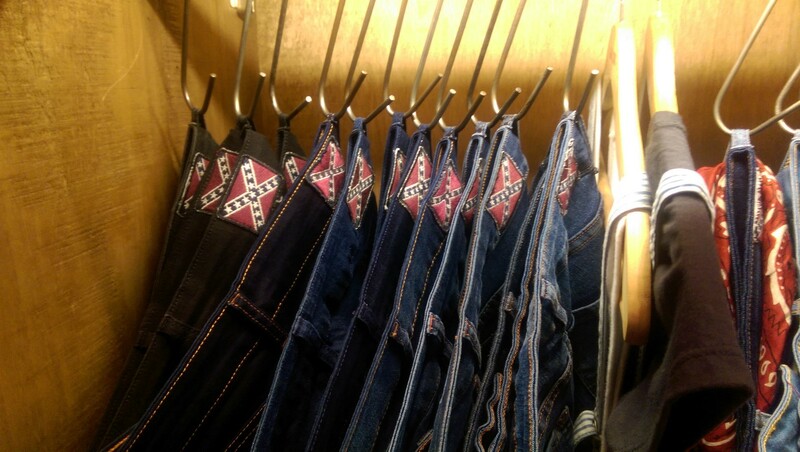 I think if you cut them into Daisy Dukes they * maybe * could be taken as ironic. There didn’t seem to be any tongue-in-cheek (that I could discern) in the presentation at the Buenos Aires retail space. This past summer several people asked me to weigh in on my feeling about the Confederate flag removal, but I feel like I’ve been pretty clear on that over the years. This issue is a bit trickier and I hope to get to that over the holiday break. On the 2015 Confederate flag moment I’ll just quickly add: Yes, it needs to go from anything publicly funded or associated with the current government. Yes, much of the debate wasn’t really about that flag. No, this scene’s poignancy and impact hasn’t been diluted. Is it Abercrombie? 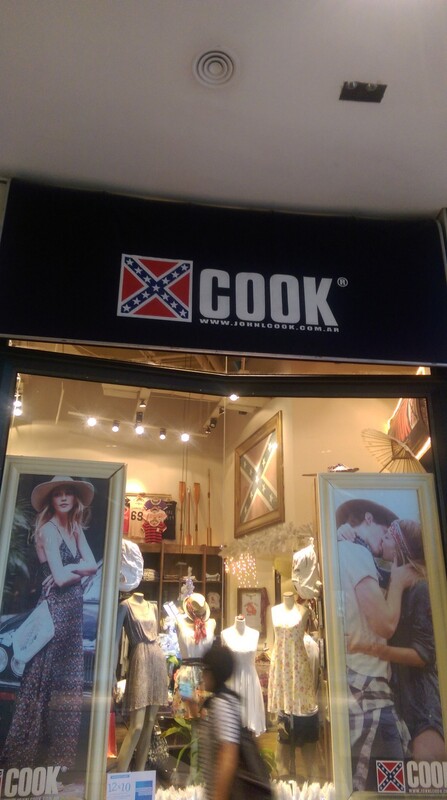 No, it’s Cook!